Color Club Cosmic Fate | Light Your Nails! Very quick post today because I’m fighting migraines again. The not-so-joys of Spring! Today’s nail polish is Color Club Cosmic Fate, a coral linear holo. On my skin tone it looks more pink than in the bottle unfortunately. Application is very easy, as all Color Club’s Halo Hues nail polishes. It doesn’t need a special base coat and it’s perfectly opaque in two coats. The holographic effect is so strong, the photos will show you. I don’t think there’s much else to add. I love my Color Club nail polishes, especially the holos from both Halo Hues collections. Do you own any? I am speechless, this looks amazing! Thank you Andrea! 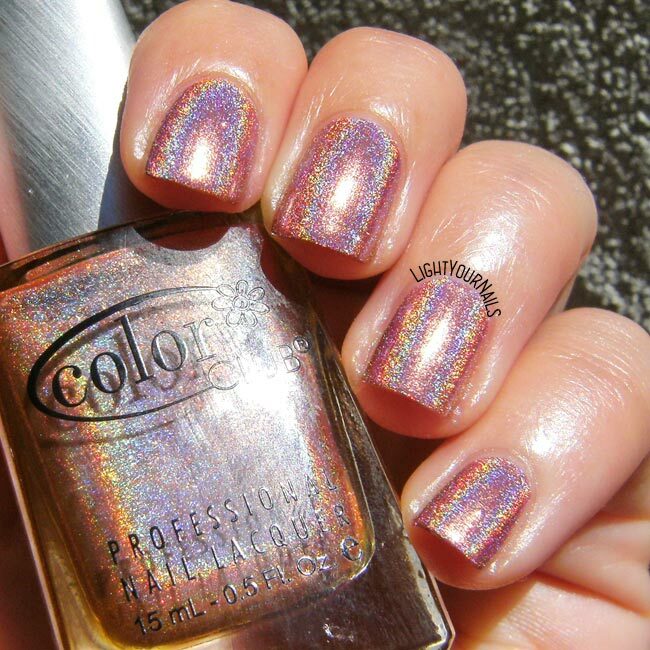 Color Club holos are amazing indeed! insieme a lui avevo preso il classicone: kismet! ...e poi ho anche fashion addict! Olè! I only have 2 of their holos, but this is making me think I definitely need more. Mine definitely seems more orange on me! Although now that I think of it, I've only used it in nail art and haven't swatched it on its own yet. This is the kind of colour that looks pink on my skintone because I have an orange undertone. I am pretty sure it would look almost orange on someone with a very pink skin! I love Halo Hues. They have such lovely rainbows. I wish they had more colours though. This one is very delicate. I agree Vedrana! I'd be happy if they released more shades! 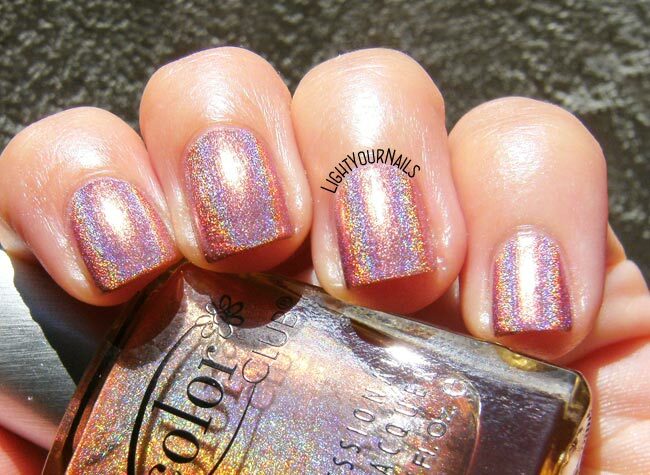 I have 2012 and 2013 collections and they are some of my favorite holos. I agree! I have a few from each collection and love them all the same! 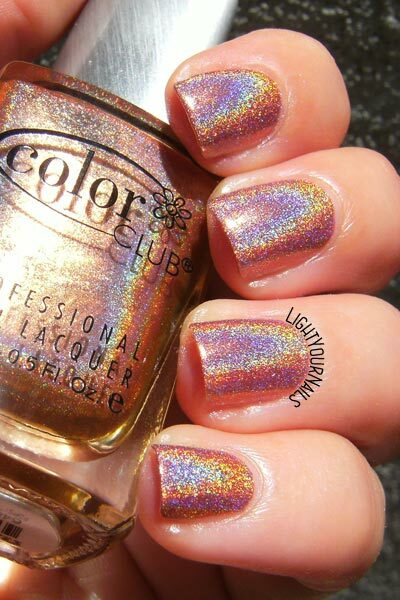 I LOVE the Color Club holos! They're always amazing!